HIV appears to be a very formidable agent, one that is difficult to deal with in terms of patient care. I have discussed multiple aspects of HIV and focus research on finding a defence is one of the top priority. So when there appears to be an occasional special case of "achieved cure", they make headline and represent an immense interest to science. With the hope they may give us a clue of what the cure can be. And this time its a news based on "Mississippi Baby". The child was thought to be a miracle case of complete cure with Anti-retroviral drugs. A case of great hope. And the latest announcement was that of she wasn't cured after all. Am also reminded of another case referred as "Berlin Patient". The case is of a patient who has successfully recovered from a HIV episode after marrow transplant. Oh, yes and then there is this case of Boston Patients, where people appeared to be cured but relapsed. Perhaps these are the most talked about identities in HIV cases other than Gaëtan Dugas, who's on the negative side of Image. Read my earlier post here. 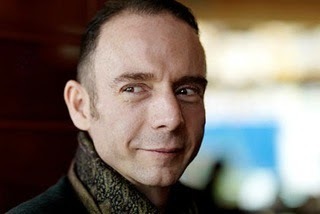 Timothy Ray Brown, more commonly known in science as the "Berlin Patient" is a case of successful battle against HIV. He was diagnosed of HIV and subsequently of acute myeloid leukemia (AML, FAB M4 subtype). His treating haematologist Gero Hütter, decided to transplant bone marrow to treat AML. At the time of presentation, he was in A2 stage of HIV infection. 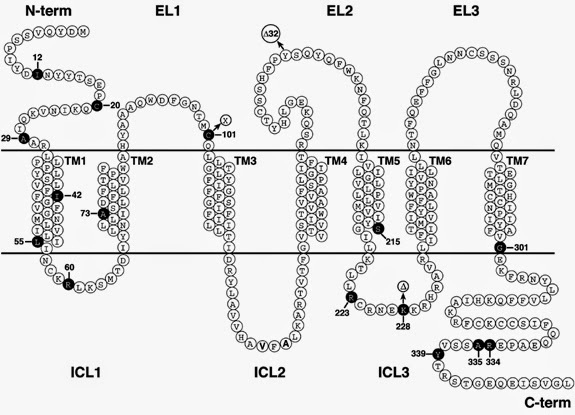 The treating physician, was able to find a rare donor matched for his HLA and has homozygous CCR5-Δ32 allele, known to confer resistance to HIV. He received two stem cell transplants which repopulated his cells knocking the AML off and was resistant to HIV infection. On further long time testing, the patient was negative for detectable viral loads. He has remained so, ever since and is not on ART. Case was published in 2009. For the first time, There seemed to be fresh new hope. It wouldn't be practical to transplant CCR5-Δ32 homozygous marrow cells to every HIV patient. The estimated allele frequency ranges between 6-16% depending on the study population. Point is that to transplant it should also be HLA matched. Bone marrow itself transplant carries a significant risk and there is ample chances of failing. Clearly everyone cannot be transplanted. But by reverse engineering the exact mechanism we maybe able to find a possible solution to the long standing problem. The second story is bone marrow transplantation in 2 patients known as "Boston patients" so called after the Massachusetts city, where they received bone-marrow transplants with cells that were not resistant to HIV. The patients ceased to show viral loads despite being out of drugs for months. The thought was that graft-versus-host disease, an immunological phenomenon seen in transplantation might have destroyed patients cells containing HIV and repopulated by transplant derived cells. However later in a scientific meeting, it was shown that the patients converted back dashing the hopes. The story is well covered here. When I think about it, the outcome seems reasonable. The cells donated was not inherently resistant to the HIV invasion unlike in the case of Berlin patient. HIV is known to be shed in low levels. Considering the sudden depletion of T cells, in recipient the HIV levels might be too low to be detectable. Not having received ART, the viral load to be developed will take time. Just as in the case of fresh infection. In this case, the first patient showed relapse after 12 weeks and the second patient after 32 weeks. It takes just one right virus in the right cell. The report came into light in the end of 2013. The child was born prematurely in a Mississippi clinic in 2010 to an HIV-infected mother who did not receive antiretroviral medication during pregnancy and was not diagnosed with HIV infection until the time of delivery. The infant was initiated for active ART therapy, at 30 hours of age. During therapy HIV was detectable in the infant sample. On day 29 the HIV levels were below the detectable levels. The child was on ART for a long time. It was later reported that the child was discontinued ART from 18 months of age. After repeated follow up, by 30 months of age (nearly 2.5 years), routine clinical assays showed that the HIV levels were still undetectable. This represented that the child had controlled the HIV. The study came to be the first successful use of ART for controlling HIV completely even after discontinued use. It also implied that very early ART (within few hours of birth) could probably beat the HIV. The child was known as "Mississippi Baby". The case was published in end of 2013. On a routine follow up, at 4 years of age, routine testing showed that HIV levels had been detectable at levels of more than 10,000 RNA copies. Genetic testing has shown that the virus was the same, and doesn't represent a new infection. Read the whole story here. Once again the hopes were thrashed. However, the child remained quiescent for a long time is something that need to be further studied. And perhaps the "complete cure" was declared early. At the time of writing, following the news of MH17 flight tragedy (Link), with some leading HIV researchers tragically expired a news of Australian Patients has also come out. In this case too, 2 Australian men treated with stem cell for cancer, have become free from HIV. This time they are on ART and are under constant monitoring. The details were presented in a press conference preceding 20th International AIDS Conference. Once again the results seem interesting. However, as the story has unfolded so far, it is not yet a time to declare "HIV contained". For details and reference go here. Perhaps Berlin patient is one of its kind rare case. But learning these cases has given some possible answers and a very challenging question. How much do you consider as a safe time period, to declare a person as "Cured"?